We have compiled a list of best personal finance blogs in India who are doing the great in blogging. If you want to become a successful blogger (Specifically for beginners) and want to learn & make money on your blog through blogging, then you all need to follow those bloggers who are listed in our blogs list. Are you really looking for the best personal finance blogs in India? today I am going to share top 10 personal finance blogs those who have just started the blogging. we have recently generated the list of top & best personal finance blogs, which have good traffic Alexa & page views also. There are some great finance blogs over the web. Some of them are curated by individuals specializing in finance, tax or economics while some of them involve collaboration between several contributors. Some of the blogs are run by well-known news sites others by individuals ranging from practitioners to professors. Finance blogs provide a great source of analysis, commentary and often offer useful data, videos, news, and charts. The thing is to find best quality financial information is at times difficult enough, as the subject is typically dry but these bloggers which we have featured here are great at their job of educating viewers while keeping it entertaining and enjoyable at the same time. Here in this blog, we have selected top 10 personal finance blogs based on their quirkiness, zest, flair, and fun. Each of the blogs which are listed below is provided with a brief statement about the blog. 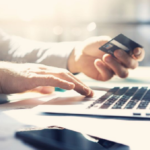 So, whether you are new to the personal finance domain or a professional looking to make some extra cash, or save some for yourself – one of these blogs will be helpful for you. This selection of personal finance blogs is handpicked for our readers from a wide range of personal finance blogs. I think we all must follow these finance blogs to find good and relevant information about personal finance, insurance, financial planning, investments, income tax, mutual fund, the stock market, loans & credit cards & retirement plans also review about various financial products. These blogs have millions of visitors a day with good Alexa, page views & relevant audions. Paisa Bank is a personal finance blog in India, founded by Geet Sharma in year 2019. 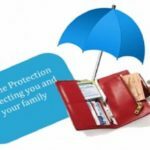 The main aim to find this blog is to aware the people about personal finance, insurance, investment, mutual fund, banking, loans & credit cards etc. Jago Investor is a personal finance blog, founded by Manish Chauhan in the year 2008. You can find very interesting things about investment, mutual funds, tax saving, and financial planning. 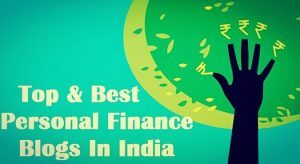 This blog is listed in top personal finance blogs in India. Safal Niveshak is an online investment guide and founded by Vishal Khandelwal. This blog is about the best money-saving tips and plans in India. ApnaPlan blog is managed & Founded by Amit Kumar. If you looking to know about the financial products like investment, insurance, FD, loans, credit cards & mutual funds that is the right place. Basunivesh is a Personal finance blog, founded in 2011 and managed by Basavaraj Tonagatti. that is the best place to find information about the investment, insurance, tax planning and more. Get Money rich is a financial blog that’s share information and idea’s about personal finance, investment, the stock market, and mutual funds etc. Money Excel is founded and managed by Raviraj. Money Excel is a financial blog which helps to achieving excellence for money, tax saving, investment, and financial planning etc. Sreekant is a financial advisor and founder of Relakhs. he shares tips about insurance, investment, personal finance and saving plans etc. FinanceGAB is a personal finance blog in India, Founded and managed by Ajeet Sharma in 2017. The best place to share and get ideas about financial, investment, insurance, mutual funds, and loans etc. Onemint is a Financial blog related to personal finance, financial planning, technology, and economics. This blog helps others to take better decisions about money. Investment Pedia is an open online financial news and information Blog. This is an Indian based investment website which has 5k+ monthly visits and more than 15 writers and contributor from all across the world. Users of Investment Pedia are always welcome to any kind of suggestion and information for the website growth. Paisa Blog by Paisabazaardotcom is an exclusive community of financial bloggers. It is a blogging space where the best financial services professionals, the biggest financial bloggers and people from all walks of life come together to pen their thoughts, opinions and experiences on personal finance. Paisa Blog has everything one needs to know about personal finance, investments, credit and money management. It is India’s leading financial blog aiming to help people meet their financial goals. India’s largest blogging community where everything on finance is articulated/discussed/shared not only by common man but by financial experts themselves. 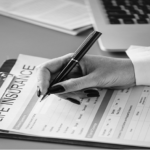 Paisa Bloggers share interesting financial blogs on investments, banking, tax, financial planning, financial products like insurance, fixed deposits, loans, credit cards and mutual funds as well as financial technology. Wikifinancepedia is one of the best investment and personal finance blog in India with global rank around 6 Lakh. Wikifinancepedia assisting readers in the segments of Financial Planning, Finance, Investment, Retirement, Savings, Business, Insurance, Banking, Trading by ways of free online e-learning tutorial courses, glossary, quizzes, e-books, articles, Q-A forum and much more. If you are planning to start the blogging through your own blog, check out these personal finance blogs in India that will help anyone who are looking to start and managing your blogs, here are best personal finance blogs for beginners. Moneycontrol is India’s leading financial information source. Manage your finance with our online Investment Portfolio, Live Stock Price, Stock Trading news, Live CNBC TV18, Share Market, Views and Analysis on Equity and Stock Markets Tips, sensex, nifty, Commodity Market, personal finance, mutual funds, insurance, bank and loans. This blog talks about best investment plans, Best Investment Options, Where to invest money in India, Top mutual funds 2017, Insurance Plans. Chartered Club is founded and managed by Karan Batra in 2009, the purpose of this blog is to aware everyone about taxes laws and help them to make them taxes better. Best of Articles to Save Money Best Credit Cards in India 2018 5 Best Forex Cards in India Hacks to Save Money On Shopping India In case you are looking for a loan 10 Best Banks for Personal Loan in India Shop For Less Top and Best Online Shopping Sites In India Some Product Reviews Best & hellip. Tax Guru is the most popular tax and money saving blog in India. Tax Guru suggests and share information about income tax, sales tax, service tax, excise & all types of money saving ideas. 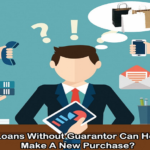 How Loans Without Guarantor Can Help You Make A New Purchase? 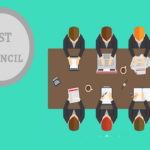 What is GST Council and How It Works? Ned Baradi on What is Pension Plan? Financegab is an initiative started with the objective of educating individuals in managing their financial life. 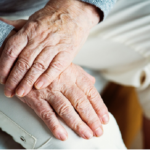 Financegab aims to empower individuals in managing their own money and making the world of finance accessible to them, so that they can make right decisions for their financial future.